We pride ourselves in hiring professional technicians that are willing to work hard to perform any necessary opener repairs or replacements that our customers need. When your opener isn’t working the way that it should, it can be very frustrating. With so many things that can go wrong with these units, it’s hard to know what the problem is unless you call in the professionals for help. One of the main benefits a garage door openers have to offer is that they have a safety feature built in to keep them from closing the door if something gets in its way. Sometimes, however, this safety feature fails. When this happens, your garage door could potentially hurt a pet or a small child if they get in its path. We can perform regular safety checks to ensure this crucial mechanism continues working properly – no need to take risks! When opener sensors falsely detect an obstacle, they can think something is blocking the path of the door even when there's nothing there. This means the door won't close all of the way before opening back up. This is very frustrating, but is a built-in safety feature that you don’t want to try to override. Your best option is to call us as odds are the safety sensors need to be carefully realigned. When your opener begins to close and then stops before reaching the ground, this could make it possible for animals and intruders to enter your garage. It can also increase the risk of weather damage. While the problem could be with your tracks, this behavior can also indicate that your opener's travel limit needs to be adjusted. We can complete this work for you in a quick and timely manner. 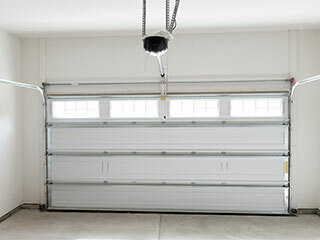 Our experts at Garage Door Repair Highland Park can help you when you are having problems with your garage door opener. Call us for any related need.